[RetroConsole] 30 years of PC Engine! – I ❤ Old Games! [RetroConsole] 30 years of PC Engine! Today another piece of late 80s brood of home console celebrate it 30th birthday. On October 30th, 1987, NEC’s PC Engine hit the shelves in Japan and, despite a huge success there, it never had the same fortune in the West, where, however was eagerly awaited. 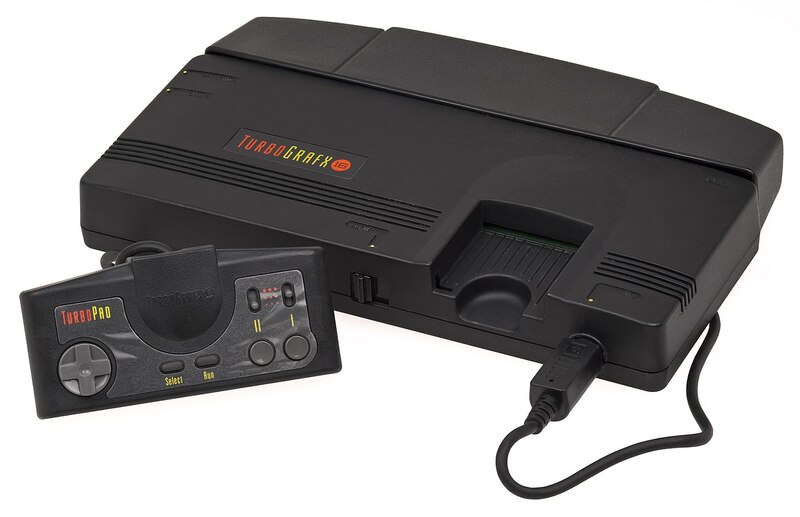 So let’s examine a bit in depth this a bit obscure but capable piece, known in US and Europe as TurboGrafx-16 or simply TurboGrafx, the first among the fourth generation of home console, the 16-bit generation. The japanese multinational NEC during the 80s was famous in Japan for its line of personal computers, namely the PC-88 and the PC-98 that were dominating the scene and proved to be a great success. However those were the years during which in Japan was blooming the home entertainment industry and future giants as Nintendo and Sega were rapidly acquire large slices of market. NEC’s lack of experience in this sector coicided with the decline of Hudson Soft that, after failing to seel their chips to Nintendo, was waiting for some fresh cash to build its own unit. The two company accidentally met and the result was the development and launch of a brand new 16-bit console, the first ever on the market, the PC Engine. Even though the console entered a market already occupied by NES and Mark III/Master System its success was tremendous. Already the second year, in 1988 topped the charts of the best selling console in Japan beating Nintendo and smashing Sega sales. Its compact and clean desing was very effective and hte possibility to store games on credit card shaped “cartridges” made it very smart and appealing. The release of the console didn’t remain unnoticed in the West. Some magazines in Europe and USA started to talk about this new marvellous piece, capable to run arcade-perfect conversions of popular caoin-op games. The hype was mplified by the fact that the PC Engine was not available outside Japan and a growing moltitude of gamers started to buy some imported piece, of course for a very high prices. The fact that the games were Japan-exclusive put an insuperable barrier for the understanding of the game mechanics but people all around the world were delighter by the look of this new forbidden console. 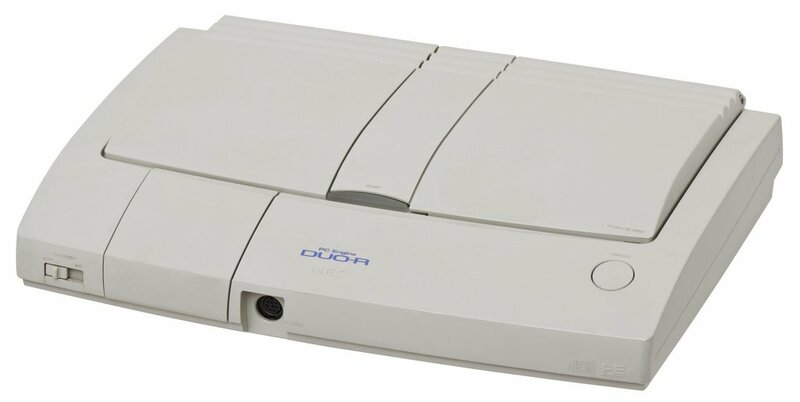 Sniffing the potential of exporting the PC Engine outside Japan, NEC and Hudson, rushed to declar “inappropriate” to buy imported consoles, since they didn’s provide any authorization and therefore the items weren’t covered by any form of warranty. This move, rather than be a “ban” was just the way the companies prepared the launch of its flagship in the West. The European market, not at the same level at the american one and with a lot of linguistic barriers, was quickly dropped in favour of a release in the US, where the PC Engine arrived, restyled and under the new name of TurboGrafx-16, in August 1989. 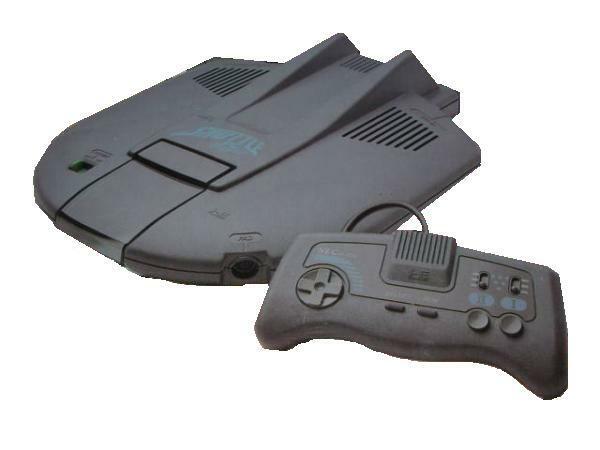 However the huge enthusiasm for the console quickly cooled down and, in conjunction to some debatable decisions, like the games chosen to bundle with the TurboGrafx-16, unknown in the west, NEC didn’t managed to reply the great success it had in Japan. Even though the TG-16 was advertised as the first 16-bit console, Sega and above all Nintendo easlily outclassed NEC’s console, whose 750k units ready for sale in 1989, struggle to leave the shelves. 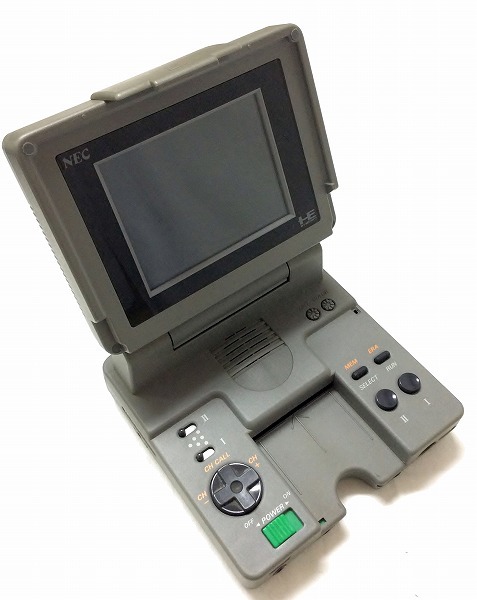 After the insuccess in the US, NEC cancelled its plan to release the console in Europe, even though probably there it should have had more success. The units already prepared, identical to the TurboGrafx.16with a simple adaptation to PAL TVs, were sold to local distributors, like Telegames in the UK and they were first sold in 1990 under the name TurboGrafx. In North America the console was discontinued in May 1994 and soon after, in December, even Japan withdrew the production, after a total of 5,9 millions of units sold, of which almost 4 only in Japan. 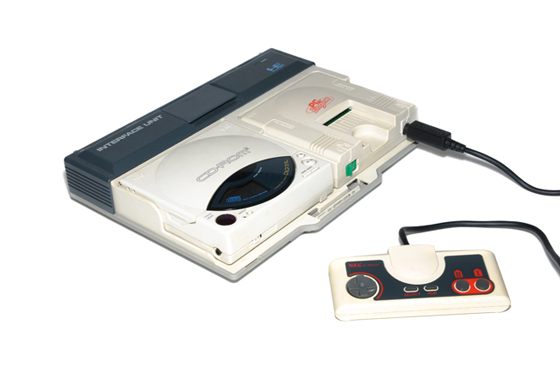 As it was for the Master System, the PC Engine has as a cartridge slot, a small split to accept cards, the HuCards, although this is the only port available on it (while Sega had also a “standard” cartridge port). Compared to the Sega cards however, PC Engine HuCards are way more capable (4 Mbit instead ok 256kbit of Sega). The responsible of the internal architecture was Hudson Soft that put in the machine its own CPU, a HuC6280 clocked @ 1,79 and 7,16 MHz with an integrate bank-switching hardware. A swarm of unofficial controllers were released for the console but here I’d like to recall the official NEC ones. Among the “classic” pads (lets’ say the white ones produced in the 80s) one of the best is for sure the Turbo Pad, virtually identical the the original pad but with the “Turbo” function, popularized by Sega, built-in. 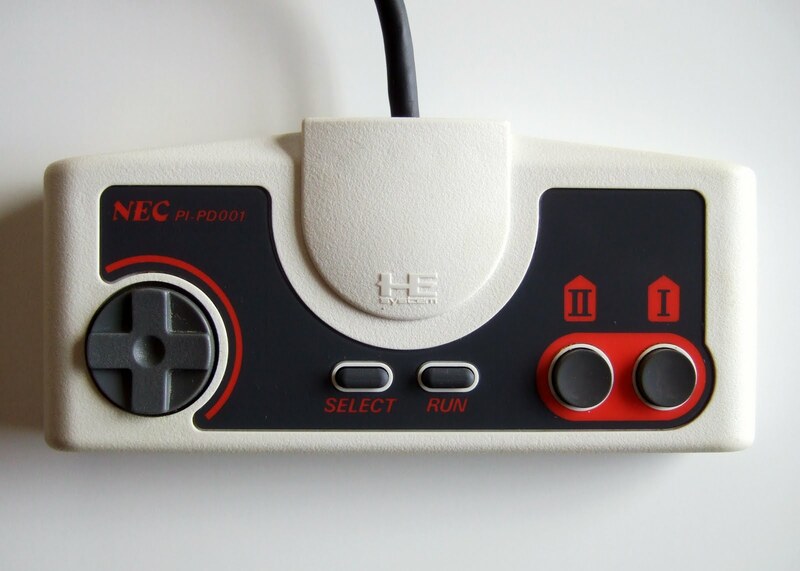 As it happened with Nintendo and Sega, even NEC released a line of specific controllers, like the Turbo stick (sort of Arcade Stick) and a Mouse. As far as i know, no light gun controller has ever been officially released for the console. Back then the graphics of the PC Engine should have been absolutely fantastic. And this must be true because still today they hold up very well. Even though the PC Engine is technically and 8-bit console, its 16-bit graphics chip allow the hardware to generate an incredible (for the times) number of color simultaneously on screen, 482 out of a total of 512 (9-bit). The chip (made by Hudson Soft itself) allow 64 sprites simultaneously on screen and 16 per scanline. Most of the early games released for the PC Engine came on HuCards. 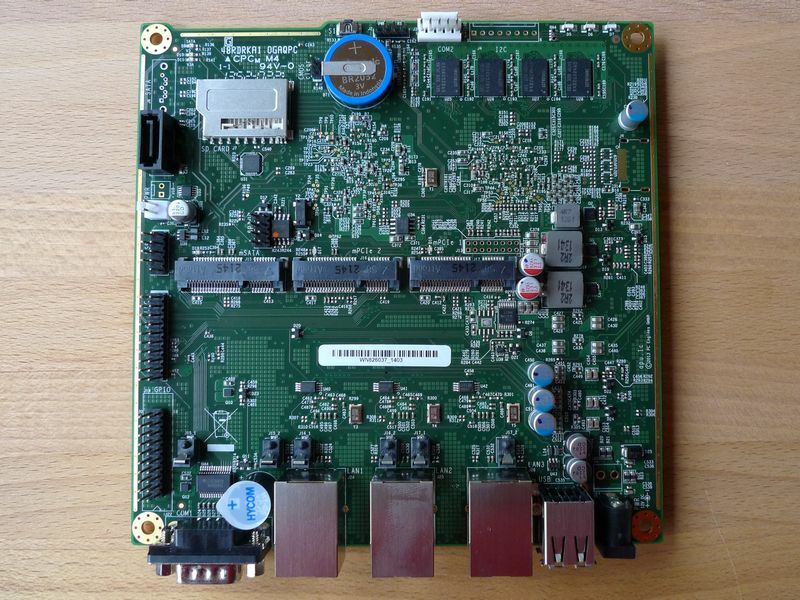 Very similar to the Sega Cards but way more capable (4MBit in comparison to 256 kBit of Sega). The console claimed to be home for aracde perfect conversion of the popular games of the time and surely we cannot disagree. In fact some of the best games released look like they came out straight from a coin-op. I’d like to cite above all two games, Street Fighter and R-Type. 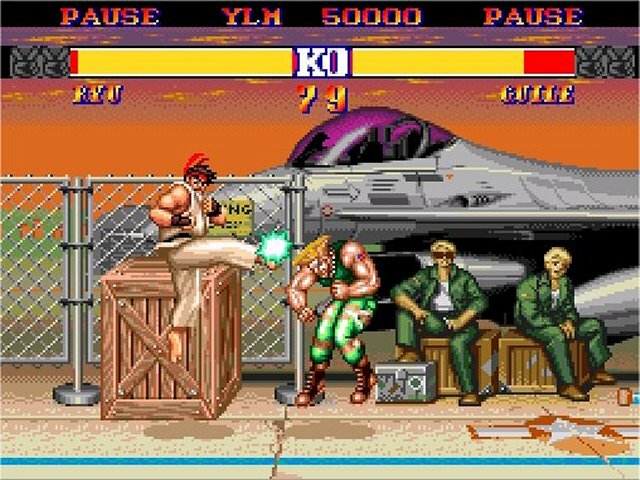 The great quality of Street Fighter put the PC Engine version in competition with the famous SNES conversion and it’s really hard to pick the best one. Even R-Type (of which I also recommend the great ZX Spectrum version, one of the best games released on the home computer) holds up extremely well even today and is probably the best conversion ever, bery fun and visually impressive. Other good arcade conversion were Gradius II, Darius and Altered Beast, probably visually less nuanced but more defined of the original Sega version. 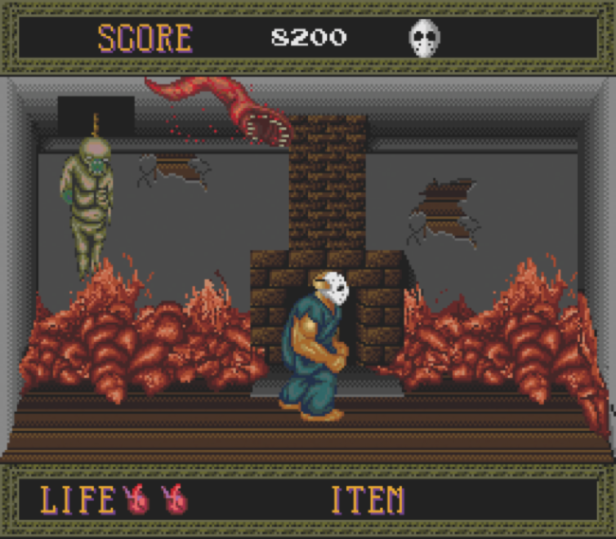 Even Splatterhouse, despite its status of controversial game, is still one of the best games for the platform. 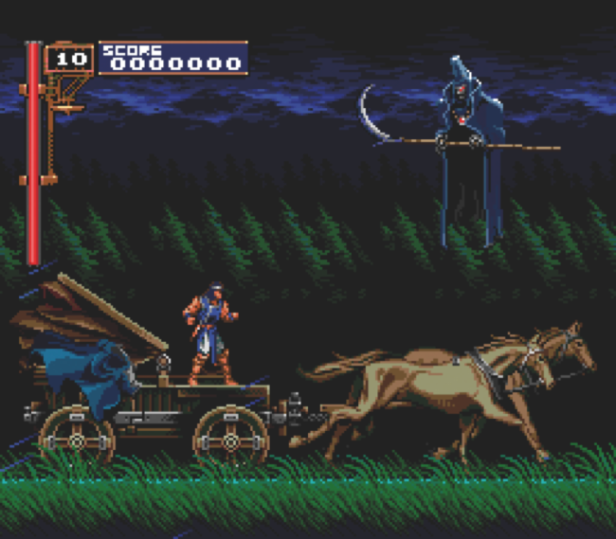 Moving to the CD-ROM games it’s impossible not to cite Dracula-X: Rondo Of Blood, another iteration of the Castlevania franchise, very sought after today due to its cult fashion and Seirei Senshi Spriggan, a vertical scrolling shoot ’em up with large and colourful sprites which is damn addictive. 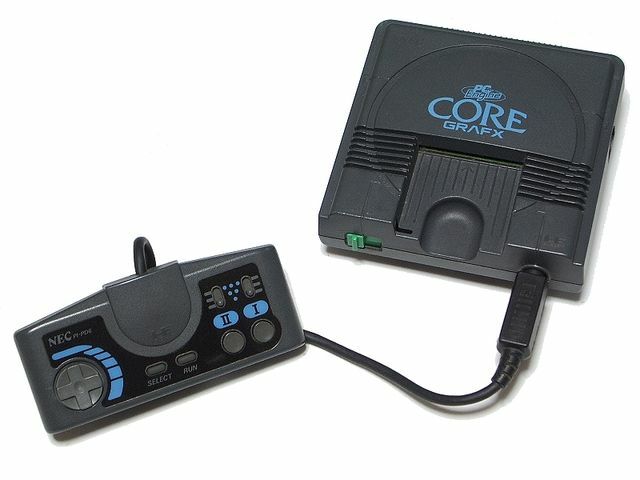 The first one, released in December 8th, 1989 was the CoreGrafx, a simple restyle of the original console, painted black and with an AV port instead of the RF connector. A further restyle, the CoreGrafx II was released in June 21st, 1991 and, despite being differently coloured it was exactrly the same model as the forerunner. 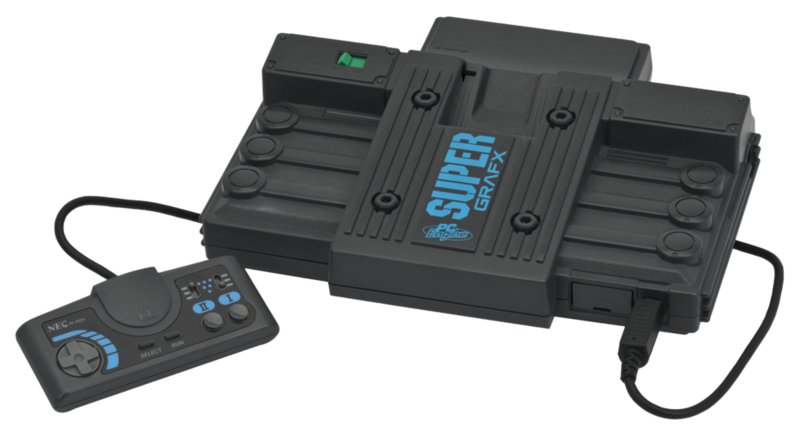 The first real improvement came with the SuperGrafx, released also on December 8th, 1989 which was a big leap for NEC: it had four times the RAM, twice video RAM and a secon plane of scrolling. However being the CPU, sound and color palette untouched, the high tag price slowed down the sales and only five games were released for this pumped up version of the console. Beyond the “regular” consoles, NEC released also HuCards-only consoles, CD-ROM add-ons and Duo consoles. In the first category we have the Shuttle, released on November 22nd, 1989, shipped with a Turbo Pad II controller and targeted to a young audience. It was retailed at a lower price due to the absence of the expasion portthat meke it incompatible with CD-ROM add-ons. 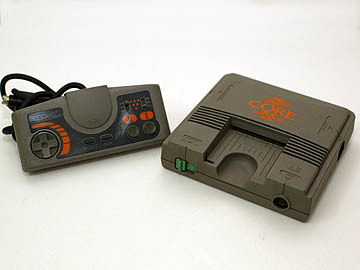 Another HuCards-only console was the PC Engine GT, an actual handheld console, at the time the most advanced among all the others (and this explains the high retail price). 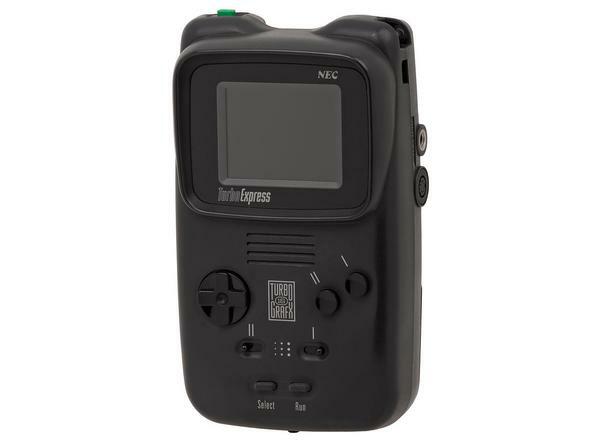 The console was released also in the US under the name TurboExpress. One of the most versatile CD-ROM add-ons released by NEC was the CD-ROM² System that came out on December 9th, 1988. It was te first ever console to feature a peripheral capable to read CD-ROMs. Maybe it was a bit bulky but the slender design was way more advanced that the cables hell which the ownders of a Genesis + SegaCD + 32X experimented. On August 1st, 1990 the add-on was released even in the US with the name of TurboGrafx-CD at the price of 399,99$. On October 26th, 1991 an improved version of the peripheral, the Super System Card was released in Japan. It updated the BIOS and upgraded the CD-ROM² System, expanding the buffer RAM from 64KB to 2MB. Slightly after, on December 13th, 1991 the Super CD-ROM² was released and included CD-ROM drive, interface unit and Super System Card. 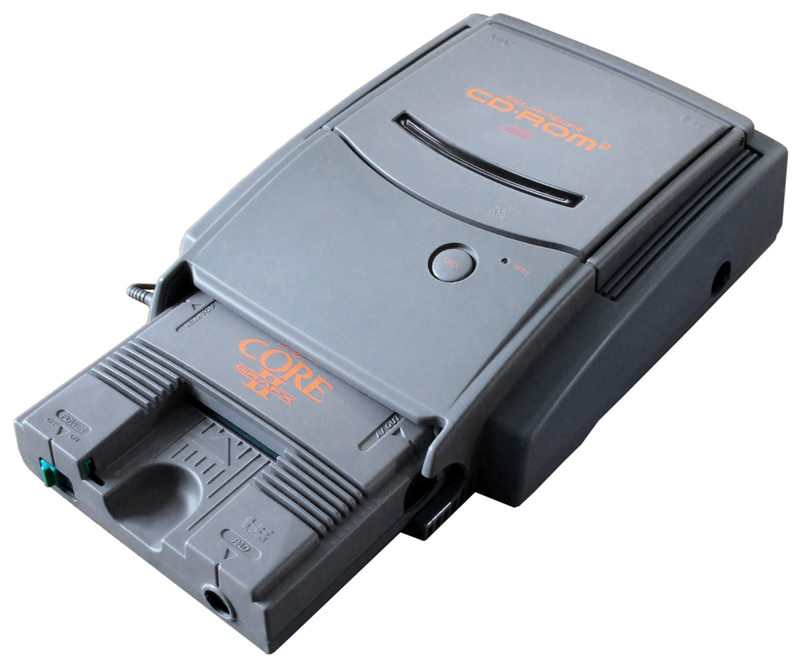 A further iteration came with the release, on September 21st, 1991, of the PC Engine Duo which combined in one elegant console the PC Engine, the CD-ROM drive and the HuCards reader. A year afer, in Ocober 1992 the console landed in the US, renamed TurboDuo. The console was upgraded twice, first as PC Engine Duo-R, then as PC Engine Duo-RX, released on March 25h, 1993 and on June 25th, 1994.
he lòas ssem introduced by NEC was the Arcade CD-ROM², released on March 12th, 1994, another disc format for the games that needed a particular Arcade Card available in two variants, Pro, only for the CD-ROM² System and Duo, exclusive to the Super CD-ROM² and PC Engine Duo. Great look at all of the versions of the PC Engine. Sadly for us in the US, most of the Japanese releases won’t work on an American TurboGrafx 16 from what I understand. So many fans end up buying one of the many Japanese models, in addition to the TG16 so they can experience the rare North American exclusive, along with the plethora of titles only released in Japan. I have neither. But I have to say I was wowed by Bonk’s Adventure the first time I saw it in a Toys R Us kiosk. It pretty much got crushed by the Genesis, and Super NES. But it was still pretty cool, and those who still have one, have something unique.